Robbie Jennings came from Idle, an industrial village in Yorkshire; but he was never an idle man. His career was a `story of the unforeseeable, even improbable, advance to high position and worldwide reputation of a straightforward man of simple origins' (from his entry in the ODNB by Sir Franklin Berman). 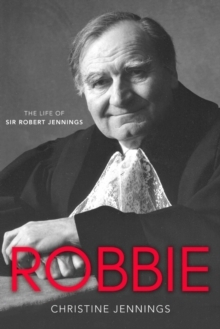 Robbie achieved this eminence through academic success, experience abroad, service in military intelligence, years of teaching at Cambridge and the Inns of Court, and as counsel in major international border disputes. Included in this book are many passages of his own writings: his entertaining and perceptive observations on his travels, and many comments on legal problems. He is remembered by former pupils and colleagues from around the world for his wisdom, humanity and humour. His private passions were for the Lake District, for music, cricket and animals; and above all, for his family. Written by Robbie's wife and close companion for half a century, this book provides for the general reader some idea of the scope and effectiveness of international law, with Robbie's own comments on its continuous development.